Does Hong Kong still have what it takes to attract expats? Does Hong Kong still have what it takes to attract expats? Home Travel Does Hong Kong still have what it takes to attract expats? The perennially strong, vibrant expat community in Hong Kong begs the question: just what is it that keeps people coming to the island? While scorching summers, air pollution, high density, and higher rent might put some travelers off, they’re far outweighed by the many benefits the city has to offer. Here are just a few reasons why Hong Kong has long had a reputation as one of the best places in the world for expats to live and work. Despite being internationally recognized for its incredible urban density, Hong Kong offers many options for the outdoors type. Victoria Peak offers amazing views and, depending on the level of activity you need, there are options ranging from a stroll along the promenade to challenging hikes up and around the mountains, Culturally significant historical sites such as the Man Ho Temple offer additional scope for outings. Not a history buff? Hong Kong has its own Disneyland for those in search of modern adventures. Hong Kong’s shopping features many of the world’s biggest and most renowned brands alongside local craftsmanship and lively markets. While some imported goods—specifically, Western-style groceries—can be hard to find, the endless food stalls and restaurants have your food needs covered. Everything from street food to Michelin starred cuisine is available, and the nightlife is some of the finest in the world. Sip a cocktail while taking in the stunning views from a skyscraper any night of the week—and try a different spot every night of the year. While the party scene is a draw for many expats, those traveling with families are by no means left out in the cold. International schools in Hong Kong offer world-class, English language instruction with globally recognized curriculum that will set your child up for success wherever they head next. The excellent public transit makes it easy and inexpensive for kids to get to and from lessons and programs, and there are many family-friendly attractions in and around the city including Disneyland. For any expat, the local work environment is a significant concern. Hong Kong offers great paying, challenging careers and is the site of headquarters and branch offices for many multinationals. While some jobs do require dual language skills, English-only positions are widely available in the finance and legal sectors. The extensive expat community is a boon for networking and career growth trajectories as well. 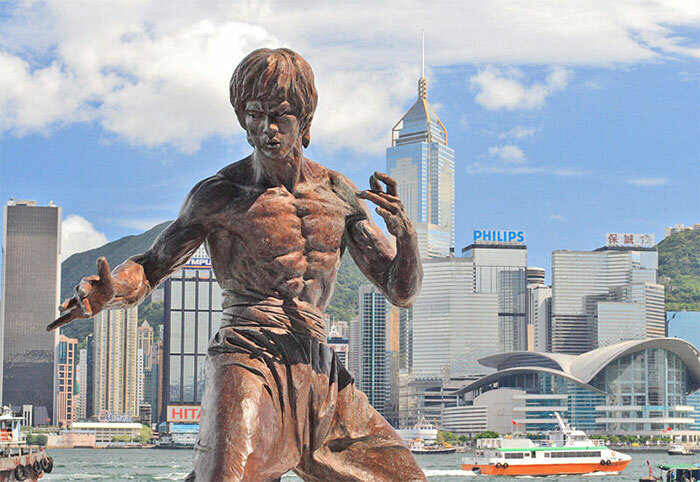 Hong Kong is a gateway city, with frequent connections both to regional places of interest, and international destinations, making business travel and vacations a breeze. Explore South Asia on weekends and vacations away or catch a long-haul flight back home to see friends and family. Hong Kong continues to be one of the top cities in the world for expats, with an attractive, engaging setting full of exciting things to do, and a strong work environment for immediate and long-term career growth. Whether you’re traveling as a single and looking for a community to quickly connect with, or as a family and trying to make sure every member is well taken care of, Hong Kong is a top choice for your next career move.